Did Someone Say FREE Ice Cream? YES! I scream, you scream! We all scream for ice cream. There is nothing like an ice cream treat after a long day's work... Well, except for a FREE ice cream treat! 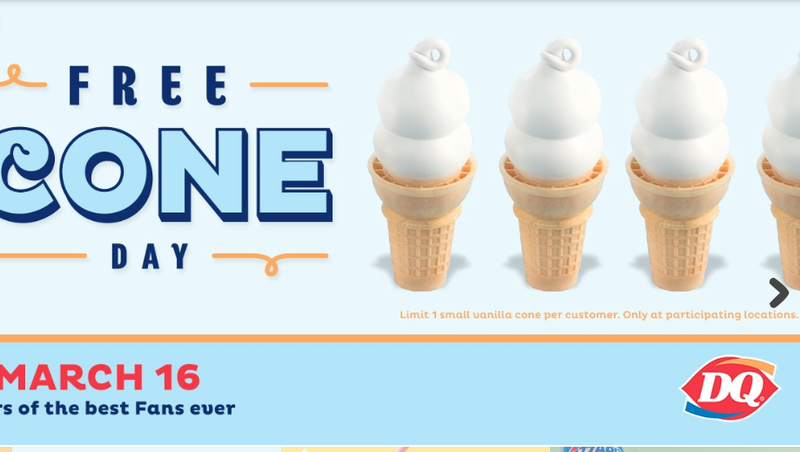 If you live or work near a Dairy Queen, make sure to head on over there tomorrow. They will be offering FREE ice cream cones at participating locations. You can find more information here: Dairy Queen. Bon appetit!